PUTRAJAYA (Feb 8): Former Prime Minister Datuk Seri Najib Tun Razak (pictured) has filed an application to stay his trial relating to charges over SRC International Sdn Bhd funds, which is scheduled to commence on Tuesday (Feb 12). His lawyer, Harvinderjit Singh, told reporters that the stay application was filed at the Court of Appeal registry today together with a certificate of urgency. Najib sought to stay the trial relating to his seven corruption charges over funds amounting to RM42 million belonging to SRC International Sdn Bhd pending the outcome of the appellate court's decision of his appeal relating to the withdrawal of a certificate of transfer by the public prosecutor. 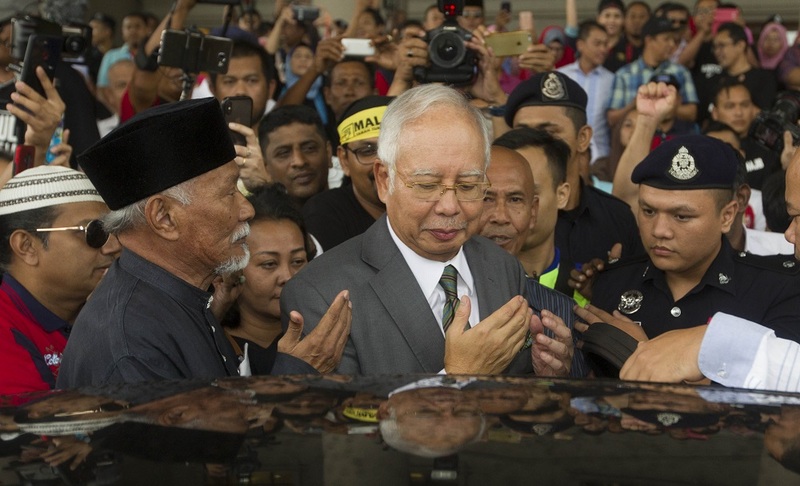 High Court judge Mohd Nazlan Mohd Ghazali yesterday allowed an application by Attorney-General Tommy Thomas to withdraw the certificate to transfer the seven charges against Najib from the Sessions Court to the High Court. Najib subsequently filed the appeal to the Court of Appeal yesterday in a bid to set aside the High Court ruling granting the public prosecutor to withdraw the certificate of transfer. On July 4 last year, the 66-year old Pekan Member of Parliament was charged with three counts of criminal breach of trust and one charge of abusing his position over SRC International funds amounting to RM42 million. On Aug 8 last year, he was charged with three counts of money laundering involving the same amount of money.